Painter and surface pattern designer Bari J. firmly believes that more is more. She calls her style curated maximalism-an aesthetic that is refined, yet bursting with energy and color. In Coloring with Bari J., she presents black and white versions of her charming, painting-based images against backdrops of deep hues and subtle faux-textures. Every page is a feast for the eyes, one that is full of fun and ripe for endless coloring interpretations. 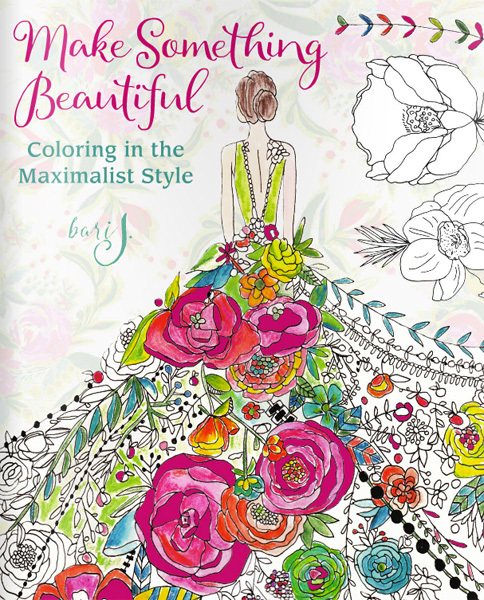 With single-sided pages and inspirational images included throughout, Coloring with Bari J. will inspire the curated maximalist in all of us.